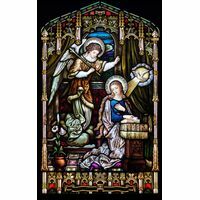 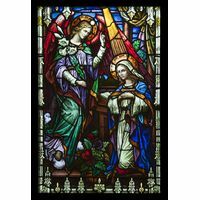 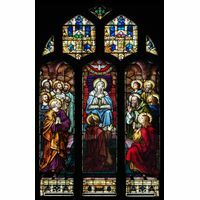 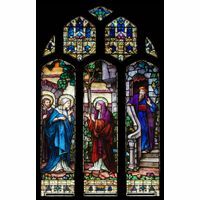 The Annunciation of Mary is brightly depicted in stunning color and detail in this glorious stained glass window. 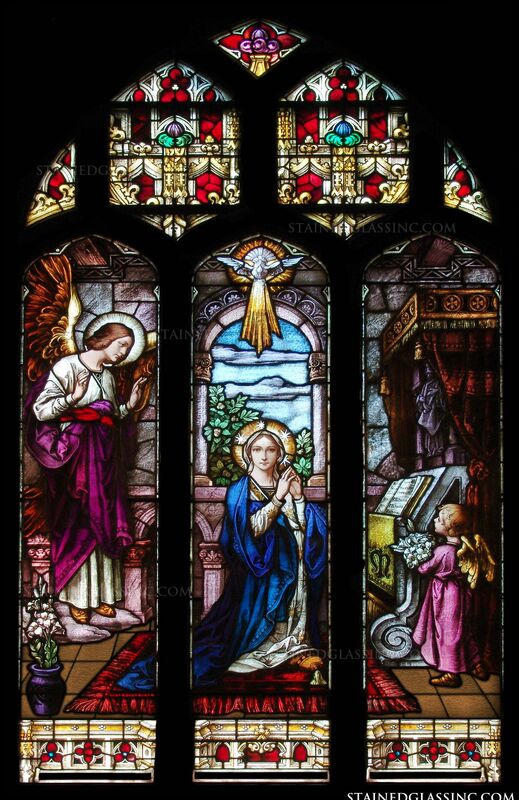 This lovely tableau allows the viewer the illusion of beholding the holy scene through a window, magnificently arranged in three panes. 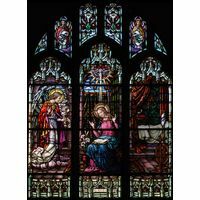 Alive with hues that cross the full spectrum of color, rays of light dance across the surface of this work of stained glass art in shifting shades and patterns throughout the day and after dark. 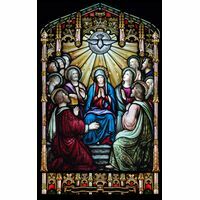 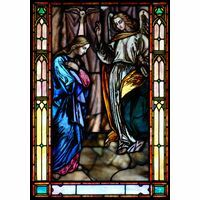 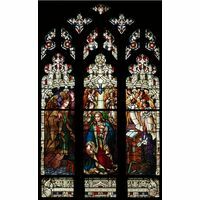 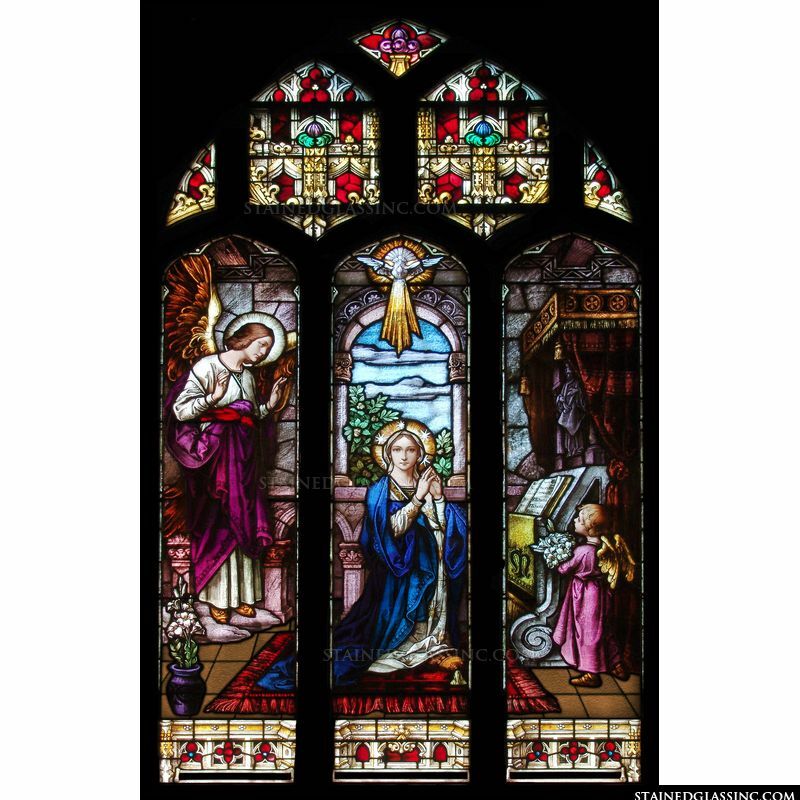 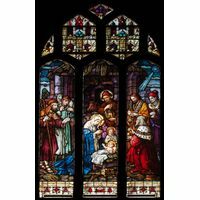 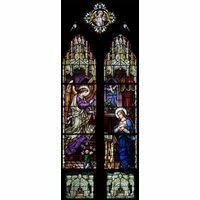 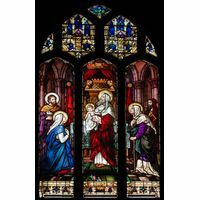 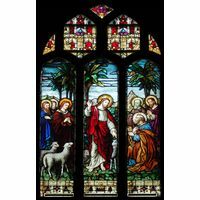 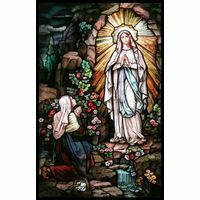 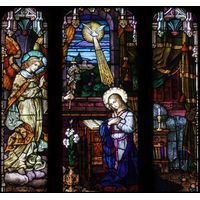 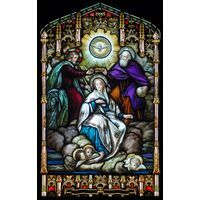 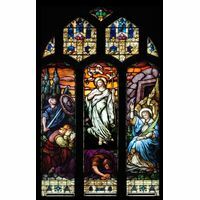 This exquisite stained glass window casts color and light across every area of worship, church, chapel or shrine, and also lends itself beautifully as a signature piece for home or business decor. 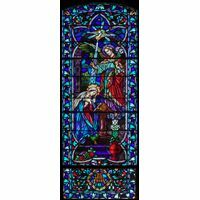 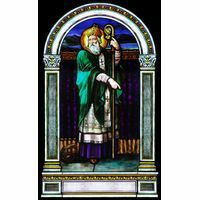 Crafted by master stained glass artists in the studios of Stained Glass, Inc., this work of art is a true treasure.